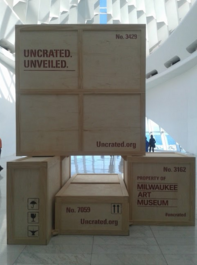 If you’ve been to the Milwaukee Art Museum in the past year or even just passed by, you know there’s something going on. All of the main galleries have been closed to the public and a new building has been constructed near the War Memorial, but why? Recently the Milwaukee Art Museum (MAM) completely renovated their permanent galleries, rearranging the pieces that were already there and constructing additions to house more artwork. The new pieces were both purchased from other galleries and ones that had been in MAM storage for years because the museum did not have the space to display them. The renovations also include a new entrance on the north side of the museum, near the War Memorial building, and an expansion on the Kohl’s Art Generation Kids’ Studios. Exploring the entire museum could take days, and for the sake of conciseness, a few of the main exhibits really stood out. it was necessary to leave plenty of space around these sculptures, many of them had the title and artist listed on a wall, apart from the actual piece, so it was difficult to tell which piece was which or even find it’s name. Before the renovations, this area used to house pre-Renaissance art and sculpture, such as the iconic Egyptian sarcophagus and the broken Greek sculpture. This new layout gives a fresher beginning to the collection. 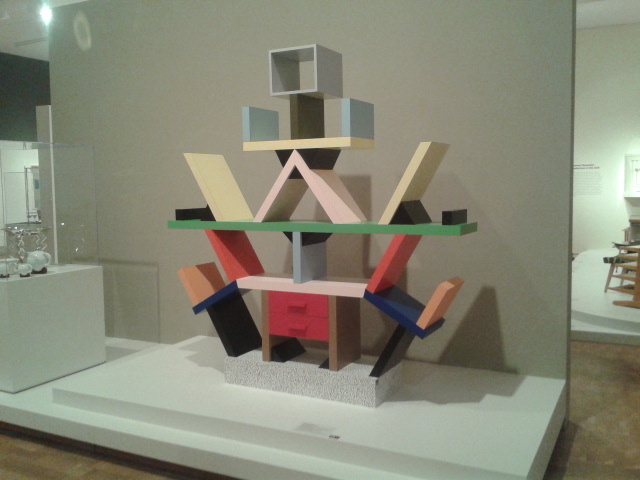 One of the pieces I really loved was the sculpture pictured to the right created by Larry Bell. The piece is two squares of glass attached to form a right angle, and painted so that the center starts of mirror-like, but slowly fades to transparent glass as you move towards the edges. The effect is stunning and eye-catching, a good beginning to the gorgeous exhibit. ​Overall the ground floor of the museum was very well laid out with minimalist walls and/or framing that kept the focus on the pieces themselves and allowed the art to shine through, without any distraction, and left enough room to view each piece. The only criticism is that the unique furniture section felt cramped with too many pieces. It came off as overwhelming to the viewer, contradicting the quieter, more relaxed feel of the rest of the museum. Tucked into this modern art section was a series of rooms filled with more classical, Renaissance-style paintings. It provided a very interesting shift from the rest of the floor, and the wood paneled and crimson rooms only furthered the contrast from the stark white walls and bright lights of the other galleries. Along with the brand new galleries, MAM has also added a new additional building to the north, near the War Memorial Building. It contains a more coffeehouse-style café, along with a north entrance. 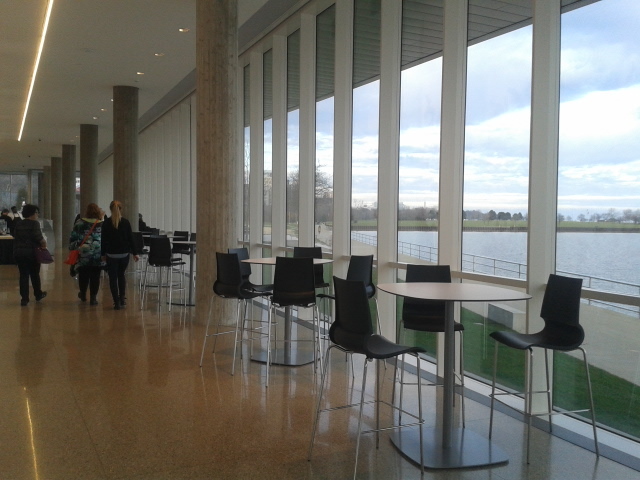 The café features floor-to-ceiling windows facing the lake, and smaller sculptures mingled among the bar stools and couches. Piece to Watch For: In the back of the modern art section, near an installation of rocks and pebbles hanging on fishing line, you might find a stack of large prints on the floor. This stack of paper, Untitled, is in fact an art installation, but as artist Felix Gonzalez-Torres intended, museum patrons can actually take a print or two off the stack! He calls this ‘endless copies’, explaining this medium as: ‘This piece requires the participation of the public in order to exist. It’s a non-static sculpture, it’s always changing, it can disappear, yet at the same time, it’s indestructible because it can always be reprinted. It’s an attempt at creating a more democratic artwork. A public piece.’ So go ahead, take one home! I really enjoy watching films, but I tend to watch only a few types of genres. It takes a lot for me to really enjoy a film that's not in the category of the genres I do watch. One of those genres that I gravitate away from is romance films. So in spirit of Valentine's day, I asked a few of my classmates to recommend me a romance film. With each recommendation, I asked for a reason as to why they enjoyed the film and a rating out of 5 stars. I then watched those films and gave my input on them. My goal was to find a romance movie that avoided the cliché overrated romance films, that I would be able to enjoy and recommend to others. “Like Crazy” is a 2011 romantic drama film directed by Drake Doremus. It stars Anton Yelchin, Felicity Jones and Jennifer Lawrence. The film tells the story of a female british exchange student who falls in love with an male American student. Soon she is separated from him after being denied to reenter the United states. characters flirt back and forth and end up together at the end. The feelings of the characters were quite mutual, and things seemed to be going well. Both knew that soon after they graduate college, Anna would have to go back to England due to the expiration of her student visa. Anna ends up violating the immigration laws, from wanting to stay in the US to spend the summer with Jacob, and is sent to England. The couple have a long distance relationship, but have to face obstacles dealing with immigration and other people. I feel that the film stands out from other romance films due to the reality of the story. The actors were able to show emotions of happiness, anger, desperation, and love in a way where the audience is able to feel the same emotion. The musical score was also something that I really enjoyed while watching. 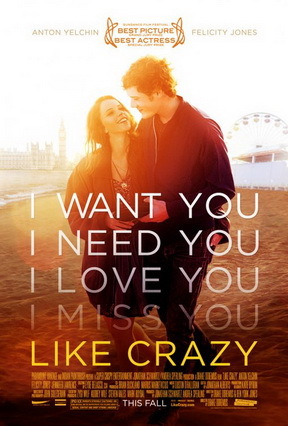 “Like Crazy” is definitely a film I’d recommend to other people. “Moonrise Kingdom” is a 2012 adventure, comedy, drama, romance film directed by Wes Anderson. Set in the 60’s, Twelve year olds Sam and Suzy have fallen in love and decide to flee their New England town, which causes a group of adults to create a search party. The film stars Bill Murray, Bruce Willis, Edward Norton, Frances McDormand, Tilda Swinton, and newcomers Jared Gilman and Kara Hayward. as comical romances. The relationship between the Sam and Suzy is more humorous than romantic. Sam is a Khaki Scout who meets Suzy at a church performance and they become pen pals since then. Falling in love through the course of their correspondence, they make a plan to unite and run away together. They hike and camp out in the wilderness with a goal to reach an island. Their romantic tension grows throughout this which viewers can find to be comical but as well as awkward. I say awkward because both characters are twelve, so both don't really have a sense of romance, thus their relationship is quite amusing to watch. The film as a whole was enjoyable because it dealt with serious situations, but it was directed more lighthearted. It contained what I’d hoped for: adventure, comedy, drama, and romance, and combined it all to fit well together. Therefore it's a great film to watch if you don't want to watch the typical romance movie. 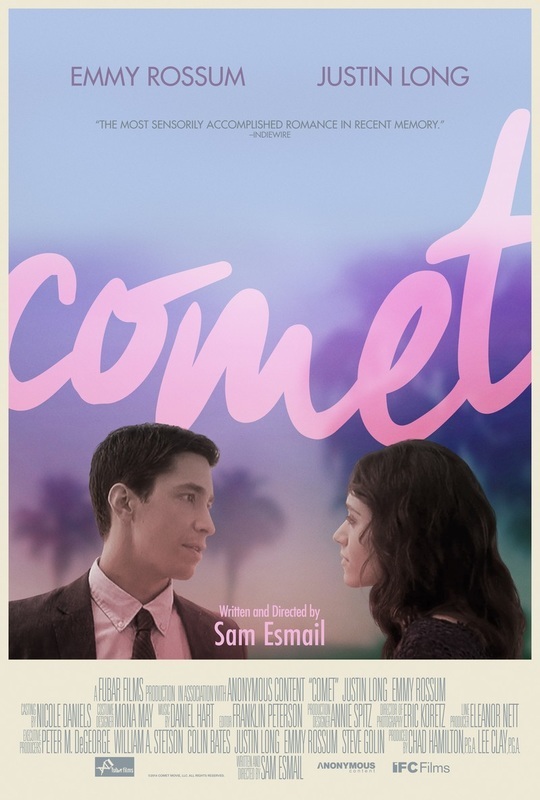 “Comet” is a 2014 comedy, drama, romance, science fiction film directed by Sam Esmail. It's set in a parallel universe after a couple meets during a meteor showing. 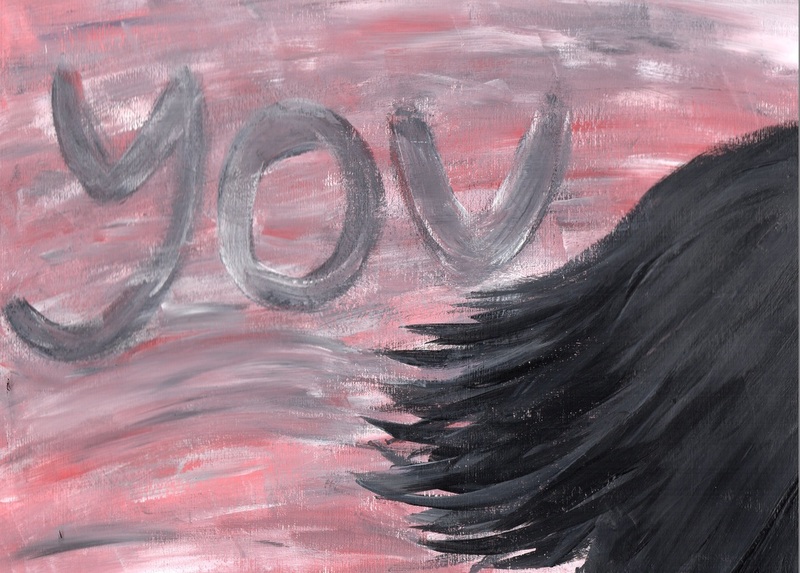 The story follows the six year relationship the couple has as it blooms and fades. The film stars Emmy Rossum and Justin Long. relationship will turn out. The film can get confusing at times, due to the jumping of flashbacks and moving into the future which isn't in chronologically ordered. But the characters relationship is definitely shown well, as it gets stronger and weakens over time. There's a lot of pessimism shown in the beginning, as Dell tries to win over Kimberly. This pessimism is also shown when their relationship is seems to fall apart. The film has a weird aesthetic in the way it was shot, which makes it more enjoyable to watch. Overall, Comet is a film that I’d recommend if you're looking for something different from the stereotypical romance genre. “Fencing, fighting, torture, revenge, giants, monsters, chases, escapes, true love, miracles....” These are what the narrator of this movie says is in it, and that quote doesn't disappoint. This movie has a little bit of everything. The characters are probably one of the best parts of the movie. All of them are very generic character types, but with a twist. You have the thought to be dead love interest which of course turns out to be alive and better than ever, the princess that is getting married, but then there's the vengeful fencer that want to kill the man who killed his father, a muscular man that's actually a nice guy….. there are a lot of characters that are all lovable. Even characters that are hated by some people, by the end of the movie, they at least did one thing that I could look back and say they liked a part that character is in. This movie is great for Valentine's Day, with or without a date. The romance is definitely the drive of the movie, since it's about soon-to-be Princess Buttercup becoming the wife of one she does not love, while her true and only love is said to be dead, being killed by pirates. Because of this, the dead love returns (not much of a spoiler) and tries to get his true love back. This movie is perfect to watch when thinking about love,or you just want to watch a good movie. With good pacing and comedy that isn't shoved down your throat, it's a nice film to watch with your significant other, or alone on a nice singles awareness day. It would be inconceivable to not watch it this Valentine's holiday.